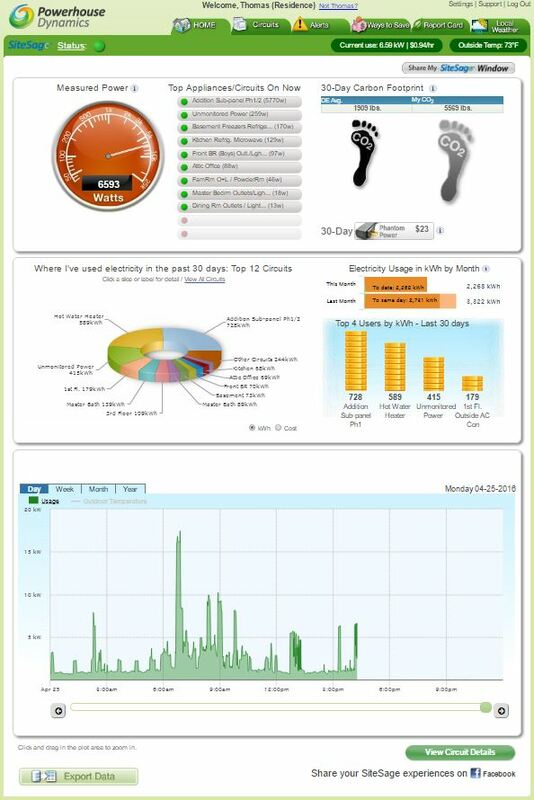 How did you use energy last month? You can’t manage what you don’t measure. This is especially true of energy – the only thing you buy that you don’t know the cost of until after you’ve used it, and have no idea what you used it for. 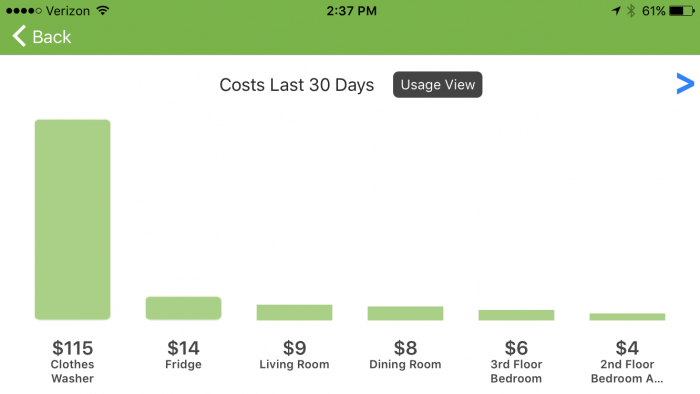 SiteSage lets you know exactly how much energy you are using in every part of your home. It alerts you if appliances are on when they shouldn’t be, off when they should be on, or not behaving properly. It provides advice about ways to save energy based on exactly what appliances are in your home and how they are being used. And, it even can control thermostats remotely from mobile devices. Residential users have reported energy savings as high as 30%. SiteSage for Homes is only available for homes in North America, Central America, and the Caribbean. "I was amazed to find that the furnace circuit accounted for 40% of my electricity usage. It turns out, I had inadvertently turned on the humidifier which is attached to the furnace, and it was sucking up energy like crazy. Now that the problem has been diagnosed and fixed, I am probably going to knock $70 off my bill for next month! Without [SiteSage], who knows how long it would have taken me to diagnose and correct the problem."